Oh haaaay! Thanks for stopping by. My name is Sarah, and welcome to Broma Bakery! As the name suggests, Broma Bakery is a (mostly) baking blog that I started way back when in 2010. At that time I was a homesick college student who missed my mom’s desserts, so I decided to chronicle all of Mom’s recipes online in the form of a blog. For the next 4 years, Broma Bakery served as a creative outlet, combining my love of photography and insatiable sweet tooth. I loved taking study breaks to make a batch of Katharine Canfield Cookies, or to whip up my mom’s Cinnamon Chocolate Chip Coffee Cake for my housemates (who, at the time, were six 6’5″ collegiate male rowers, but that’s a story for another time). Once college ended, I worked as a catering director for a group of restaurants in town. They quickly noticed my love of photographing food, and asked me to take on social media for all three restaurants. 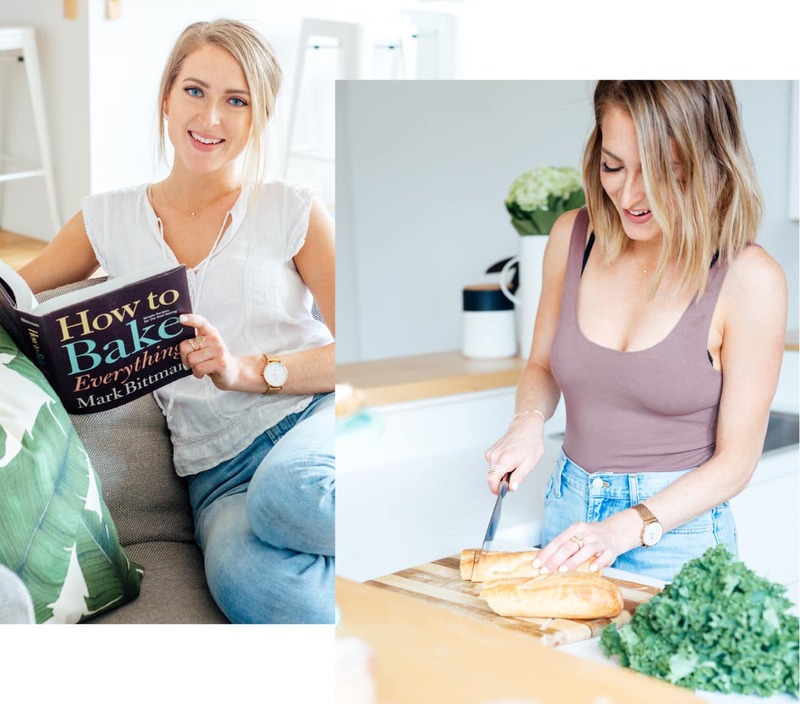 As I look back on this time, things were all falling into place: I knew how to bake and cook, how to photograph, and how to market it all on the internet. So when my job situation unexpectedly changed, I found myself wondering if, instead of going to get another “real” job, I could make this blog thing work. You know, full-time. I gave myself 2 months to try doing Broma Bakery full time, and 3 years later, here we are 🙂 The blog has blossomed into my career, and has given me opportunities I never thought possible; I get to travel around the world; photograph recipes for some awesome clients; and, when I finally make it back home, bake all day. Broma Bakery now serves as a place for home cooks and bakers to get their daily fix of delicious food. It has a mixture of comforting classics like Coq au Vin, elevated desserts like Red Wine Brownies, and some healthier recipes like No Bake Blueberry Almond Breakfast Bars. In essence, the food you find on Broma Bakery is the food I eat: decadent desserts mixed with healthier savory options to balance it all out. I photograph everything using a Canon 5D mark iv. I shoot mainly on a 100mm 2.8 lens, but sometimes whip out my 24- 70mm 2.8. I always shoot in natural light, and use Lightroom to edit my pictures. Find out what’s in my camera bag here, and find out how I edit here! Be it sponsored posts, recipe development, or food blog photography, I work with a variety of clients to suit their needs. For more information and to get in touch, email hello [at] bromabakery.com, or visit my Contact page. You can also check me out on Instagram, Facebook, Twitter, and Pinterest.